Enjoy Valentine's Day fun with your kids this February 14. 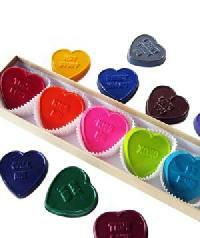 Stamped with messages like Be Mine and True Love, these handmade heart shaped crayons are modeled after the classic Valentines Day treat. The set of five comes packaged like a box of chocolates each brightly colored crayon sits in a cupcake liner and looks almost good enough to eat. 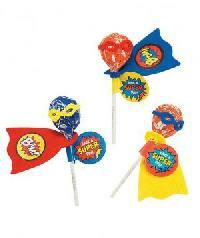 Donned with a cape and a mask, even an ordinary lollipop can save the world well, maybe just snack time. Each kit comes with enough materials masks, capes, and stickers to turn 12 suckers into superheroes, so the kids can make a few for themselves and some for their friends. These ferocious temporary tattoos take hand puppets to an entirely new and all too real level. 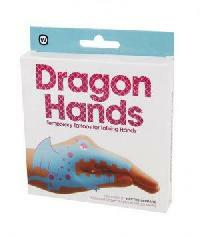 Each package includes eight bright and colorful non toxic dragon temporary tattoos that quickly transform tiny hands into mighty mythical creatures. Be prepared Youre in for a night full of dramatic puppet shows. If your Valentine has an allergy, opt for this box of gluten free Sugarfina gummy bears. 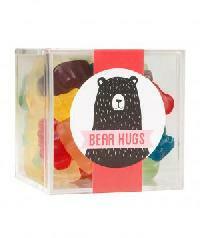 Each box has a wide assortment of fruity flavors from smaller green apple baby bears to bigger grapefruit mama bears these candies provide just the right way to show your kids their mama or papa bear cares. Hopefully, theyll even share a few with you! 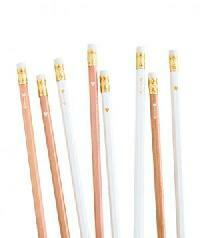 Save your household from a major Valentines Day induced sugar high, and gift these hand stamped pencils instead. Each one comes in either natural wood or white and has a gold foil heart or arrow. At only a dollar each, they also make a cute, simple gift for classmates and friends. Swap boxed chocolates for homemade sweets, and help the kids bake and decorate a dessert thats big enough to feed the whole family plus some!. 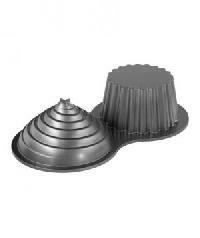 This set includes two pans one thats shaped like the actual cupcake, and one that molds the top of the cake to look like tiered frosting. Make sure to stock up on extra sprinkles and small candies to transform this gigantic cupcake into the ultimate dessert. 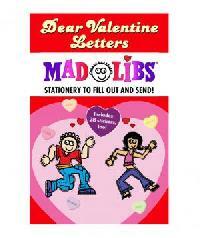 The kids will love rewriting mushy valentines with this classic word game in fact, the entire family can make a night out of crafting absurd love notes. The book even comes with custom stickers to seal each funny valentine, so they can be sent off to friends or secret admirers. Whats better than a big batch of cookies? Nothing except maybe football shaped cookies that double as an art project. 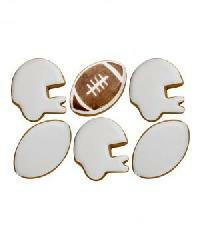 This tin includes football and helmet shaped sugar cookies glazed with white frosting think of it as a blank canvas and five colorful edible ink markers. Your sports fans will love decorating each cookie with their favorite teams logos and then the best part enjoying the fruits of their labor with an ice cold glass of milk. Send your student to school on Monday with this supremely soft pink fringe pencil case in her backpack. Make the gift even sweeter by filling the pouch with her favorite candies. Its also a good opportunity to teach her about giving back every time you buy an item from Yoobi, another item is donated to a classroom in need. Why dunk an Oreo in milk when you can bathe it in chocolate? That was the idea behind this trio of indulgent Valentines Day treats. Each chocolate dipped cookie is topped with red, white, and pink sprinkles and holiday themed sugary decals. Regular cookies dont stand a chance.